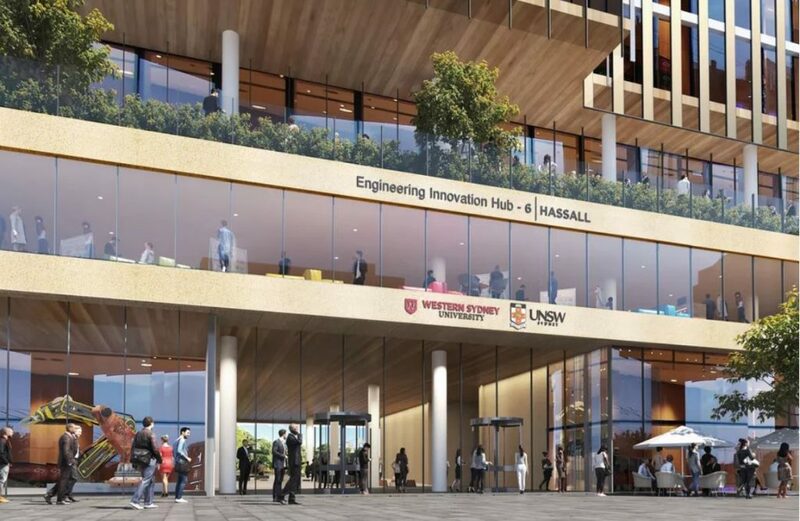 Listed fund manager Charter Hall will partner with Western Sydney University (WSU) and the University of NSW (UNSW) to develop a $280 million engineering innovation hub in Parramatta’s CBD in Sydney’s west, reports The Australian. This will be the first deal of its type for in the Australian educational market. The high-rise commercial tower, dubbed a “vertical campus,” will feature advanced programs skewed towards engineering and business courses. Charter Hall’s $1.5 billion Direct Office Fund (DOF) and WSU will take equal stakes to develop and co-invest in the vertical campus. “It’s a partnership matrix so extensive, it’s near par with multi-university cities in China. “We are combining the industry links, international partnerships, and intellectual rigour of Australia’s leading services export, and the country’s greatest contributor to knowledge-based gross domestic product,” he wrote in The Australian. “The hub will be pioneering in the way it engages with technology, employing internet-of-things enabled platforms, data analytics, and virtual reality to make western Sydney world-leading in conceptual and practical engineering innovation. “Most important, the collaboration won’t be restricted to universities alone. Both UNSW and WSU are entering this venture on the premise that it is not simply industry-engaged but industry-immersed. At all levels and across all aspects of this facility, the lines between industry and universities will be deliberately blurred,” he added. It is the second time Charter Hall and WSU have joined forces in Parramatta, notes the AFR. The university already occupies the recently developed 26,500-square-metre One Parramatta Square, which is owned by two funds run by Charter Hall. Opened last year, the building caters for more than 10,000 business students. The new innovation hub will bring world-leading research and innovation to the region and support the government’s goal of creating 200,000 knowledge jobs in Sydney’s west. Charter Hall chief executive David Harrison said the deal would offer students a more enriched learning environment. “Western Sydney University have been visionary in their pursuit of creating new ways for students to learn, and in partnership with Charter Hall and UNSW are leading the education sector in partnering with industry to create long-term value for their students and the community,” Mr Harrison said. Work on the development is slated to begin in early 2019 and is expected to be completed in 2021.